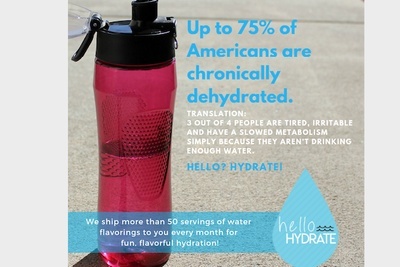 Enter your email address below to receive a notification when Hello Hydrate starts accepting new sign-ups! 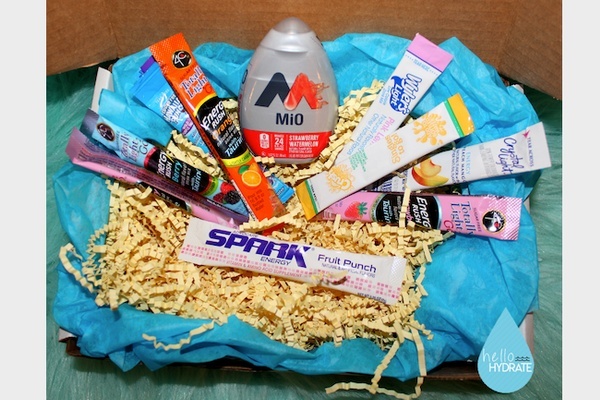 Enter your email address below to receive a notification when Hello Hydrate is accepting new sign-ups again. We ship on the 4th of every month! Orders placed by the 1st of the month will ship on the 4th. First time orders placed after 1st but before the 15th will ship as soon as they are received. Subsequent shipments will be sent on the 4th following the normal schedule. We want you to receive your box as soon as possible! Up to 75% of Americans are chronically dehydrated. Translation: 3 out of 4 people are tired, irritable and have a slowed metabolism simply because they aren’t drinking enough water. 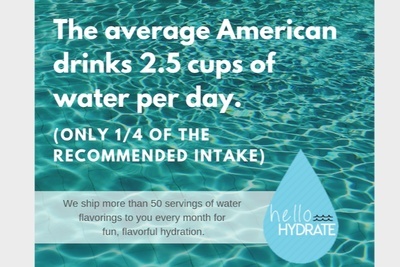 Hello Hydrate delivers a unique variety of water flavoring for a full month of hydration, perfect for you and fitness-focused friends. 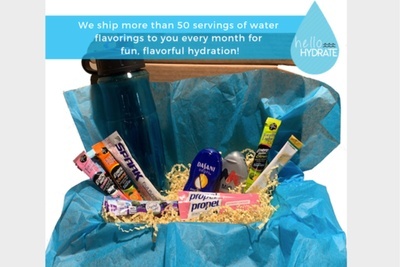 Discover fun, flavorful ways to hydrate with a Hello Hydrate subscription. Order now to receive FREE shipping for life. 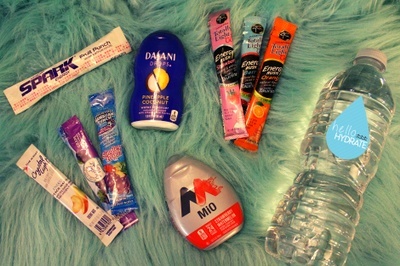 Hello Hydration includes a monthly accessory to hype up your hydration game. 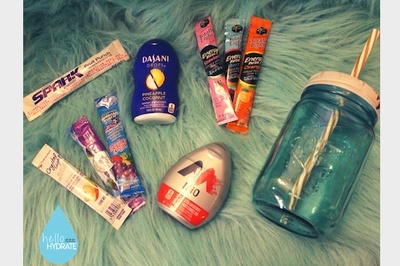 Our variety of brands and flavors can help you find a favorite! Hello Hydrate doesn't have any reviews!